Trade offers or trade leads, can facilitate export-import businesses in various ways. With an excellent B2B trade leads directory in your hand, you’ll know which global buyer to contact next. With the dominance of the internet, B2B export companies are always on the lookout to buy offers so they can sell their goods. 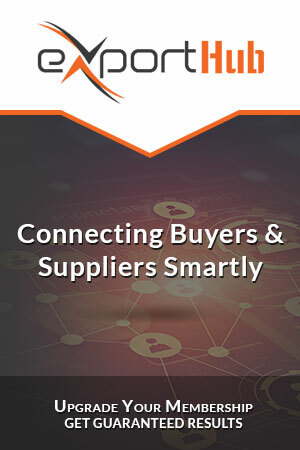 On the other hand, importers use trade offers to connect with B2B suppliers from whom they can get the best goods at the most reasonable prices. The good thing is that, due to a significant rise in demand for trade leads, many B2B marketplaces provide a verified B2B trade leads directory which can be used to connect with relevant businesses. In addition, after signing up at an international B2B marketplace, you may even get access to free B2B trade leads. By buying offers, you reduce the time duration it used to take you to find a potential buyer or seller. Businesses that offer services in facilitating companies with trade offers notify you with an email, call or even an SMS whenever another organization shows interest in doing business with you. Imagine the time you’ll save by receiving such updates! To be precise, export-import trade leads, trade offers and international trade leads are selling and buying offers in the form of advertisements that you receive from service providers. Long before this service was provided through the internet, it would take you days to connect and find relevant businesses. You would have to make visits to ad agencies, publish postal newsletters, go through export-import regulations and even had to take time out to brainstorm a plan. On the other hand, it was difficult to tell if your advertisements actually reached potential buyers or not. ExportHub is a leading international B2B marketplace that is striving to improve communication and remove any gaps between Chinese suppliers and global buyers. By signing up at this B2B platform, you’ll not only get featured in their B2B directories, but you’ll also be entitled to receive trade leads and trade offer notifications. That means ExportHub will inform you every time a potential buyer or seller has shown interest in your goods and services. Should You Trust Free B2B Trade Lead Providers? As useful as the internet may seem, it is flooded with spammers and cybercriminals who are no more than threats to you. Therefore, avoid hunting for free trade leads on the internet. Even if you do get your hands on a B2B trade leads directory for free, do not connect with any business on the list before verifying the source. To avoid the risk of getting your hands on the wrong trade offers, we advise that your buy offers leads to prevent your business from falling into any trap. SAHEL ETTEHAD MFG CO Impressed by the services of ExportHub, keenly understood our requirements and were always prompt to respond to our problems. Very easy to work with them. Jiangsu Junhua High Performance Specialty Engineering Plastics (Peek) Products Co., Ltd. Suppliers are authentic and you can further verify them through ExportHub verification program. It is a safe platform for buyers since there is no risk of fraud or scam. Greewor Trading Co. The account management based service is amazing. Our service ensure business return in the form of orders and the way we are being handled, we are confident that soon we will close our first order. Q1. Are B2B Trade Leads Directory Reliable? ExportHub is a renowned B2B platform that makes sure all businesses listed are authentic. All companies go through a verification process in which representatives take all possible measures to ensure the authenticity of a particular company. In addition, even their contact details are tested to make sure all our members get access to a verified and authentic directory. Q2. How Will I Benefit from Buying Offers? Once you buy offers leads, you’ll have potential clients just waiting to receive a call from you. These trade leads are an indication of the fact that they are interested in your products or services. Q3. Can I Do Business With all the Trade Leads I Receive? No one is stopping you! Yes, you are free to do business with all the leads. However, it depends on how you approach these buyers or sellers. Make sure you hire the right salesperson to convince these leads to convert. Once you become a premium member at ExportHub, not only will you get relevant trade offers, but your business will also get featured in related product categories. That means companies will start coming to you directly, saving you the time and efforts of reaching out yourself. Powered by ExportHub LLC | Copyright © 2018 ExportHub.com. All rights reserved.